What a sweet book! I added it to my list. 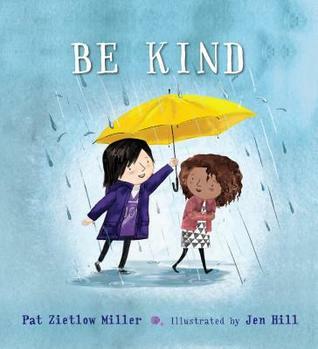 I also love the idea of illustrating that kindness is not always easy. It is a choice. It is great to hear it prompted a good discussion in your class. I love this book! I checked it out from my library a few weeks ago, and like you, I thought the straight forward writing style was spot on. Not preachy at all. I do like this book and I'd like to see all kids read it. Talking with kids about kindness is so important at an early age. I am all for books that promote kindness! I love your idea about creating a kindness wall where kids can be acknowledged for being kind by peers! This is a lovely gift book, too! This would be a great one to pair with mine today, Andrea, Mela and the Elephant. Kindness rules. This lovely book gets at the heart of kindness; both its ease and difficulties. A perfect read-aloud! I've seen this one but don't have it yet; your review makes me want to go get it this weekend. Kindness IS a choice guaranteed to WOW (warm our world) everyone in its orbit. This sounds like a really sweet book with a great message. Thanks for telling me about it.